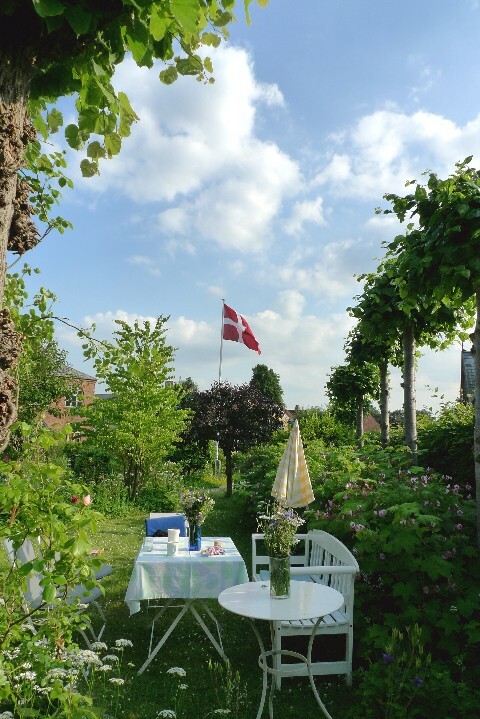 This is how a Danish summer garden should look, – and it sometimes does. 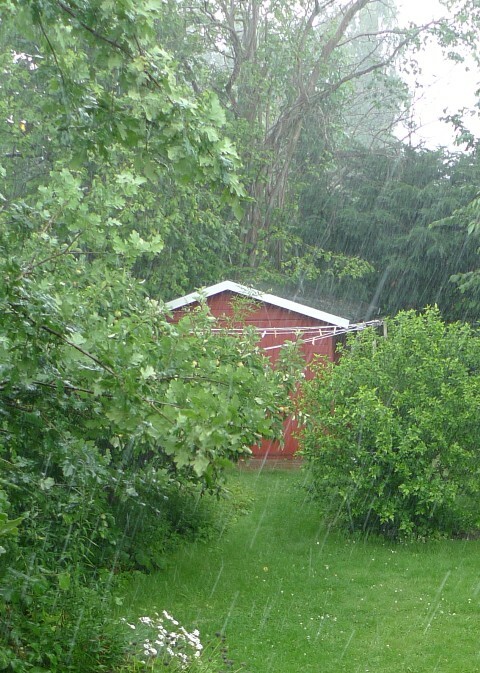 This is how a Danish summer garden should not look, – but it does. Oh, that looks sooo delightfully cosy; I can just imagine sitting at that table, having a pot of tea and biscuits with good friends… Beautiful… a sigh of bliss. Ah well. My grandfather was fond of saying “Into each life some rain must fall.” He had a good bit of experience with rain, and with all the other Interesting Weather that can occur in the North Country and in a life. I have decided that “Into each life some sun must shine.” May all your rain be just the right amount to keep the garden green–may all your garden parties fall on sunny days! lol! Well, we wouldn’t appreciate the sunny days if there weren’t the rainy ones! 🙂 Amazing how our gardens look alike giiid ! Same colour of flag if there was one, greenness, cosy nooks and capricious weather. Ah well, as Gerry wrote, we also have this saying : “After the rain comes the sunshine”. I hope so for you. My eldest son is just back from Copenhague, totally enchanted 🙂 Pretty Summer pictures, thanks. It has been very dry and hot here. Your rain looks as pleasant to me as the top photo looks charming. The first photo should be in in a tourism magazine for Denmark. The second one is a reality most of the United States hasn’t seen in weeks. So, enjoy those good days to the fullest and remember when it rains, it will stop and turn into good days again.